Essential oils can help to relieve headaches and migraines due to their pain-relieving properties. Some essential oils help ease headache pain because their aromas alleviate stress and anxiety. Other essential oils are good for migraines because they cool the skin and help soothe your nerves. Essential oils that have decongestant properties also help to relieve sinus headaches. Some of the best essential oils for treating migraines include lavender oil, peppermint oil, and rosemary oil. You can use essential oils as a blend with carrier oils to massage into your temples, behind your ears, and at the top of your neck. Some of the best oils to use as carrier oils are extra virgin olive oil, coconut oil, or sweet almond oil. The effect of aromatherapy essential oils for headaches can also be used in conjunction with other remedies to help boost the effectiveness of headache and migraine medication. 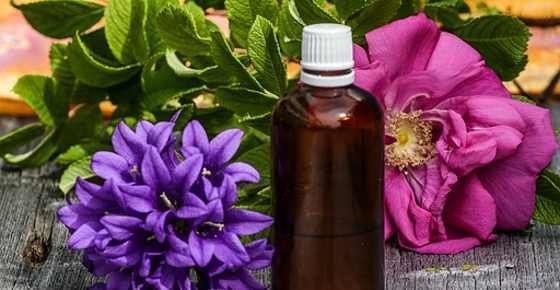 In this article, you will find out about the best essential oils for headaches. You will also learn how to create an essential oil blend for migraines. At the end of the article, you can find out how to use essential oils to get rid of a headache or a migraine faster. There are a number of reasons why it is good to use essential oil aromatherapy for headaches. If you suffer from headaches, find out some of the reasons why you get these headaches. Let’s look in more detail at some of the best aromatherapy essential oils to get headache and migraine relief. In each section, you will also learn how to use and mix essential oils for migraines and headaches. Using lavender oil for headaches is a common natural remedy for relieving pain associated with tension headaches and migraines. To help get rid of a headache quickly, put a few drops of lavender oil on a tissue and inhale deeply for 15 minutes. The calming and pain-relieving effect of lavender essential oil will help relieve your headache. You could also diffuse lavender oil in your workplace or at home to treat headaches naturally or to help prevent migraine attacks. Learn more about the many uses of lavender oil and how you can use it to benefit your skin and hair. You can use peppermint oil for headaches because the cooling effect of the essential oil helps to relax the mind and alleviate pain. To use peppermint oil to relieve a throbbing headache, you should dilute 2-3 drops of peppermint oil in a tablespoon of carrier oil such as sweet almond oil. Put some oil on your fingertips and massage the peppermint oil directly on your temples for relief from a headache or a migraine. You could also make a peppermint oil blend by using 2 drops of peppermint oil and 2 drops of lavender oil and combine in a carrier oil. Get more home recipes using peppermint essential oil if you want to get quick pain relief and help prevent nausea and vomiting. Another great essential oil for getting rid of a migraine or headache is eucalyptus oil. Eucalyptus oil helps to get rid of pounding headache pain in a similar way that peppermint oil is used for headaches. Another advantage of using eucalyptus oil in a diffuser for headaches is that it helps clear sinuses. Researchers have found that eucalyptus aromas have decongestant and anti-inflammatory properties. (12) This means that eucalyptus essential oil may be one of the best oils to add to a blend for sinus headaches. The best way to use eucalyptus oil if you have throbbing headaches is to mix some essential oils for migraine relief. Make an essential oil blend using 2 drops of eucalyptus oil, 2 drops of peppermint oil and a tablespoon of olive oil or other carrier oil. Massage onto your forehead and temples for headache relief. Alternatively, eucalyptus and lavender are good essential oils to diffuse for sinus headaches. You could also inhale eucalyptus oil directly from the bottle to help clear your sinuses and get relief from sinus-related headaches. Find out more essential oil blends for sinus infection. You can use essential oil extracted from rosemary leaves to help get rid of a headache in your temples or on one side of your head. Make your own essential oil mix for migraines and headaches by combining 2 drops of rosemary oil, 2 drops of peppermint oil, and a tablespoon of carrier oil such as coconut oil. Gently massage the aromatherapy blend onto your temples for head pain relief. If you suffer from migraines, you could use rosemary oil in a warm bath to help relax and ease away your migraine. Add 5-6 drops each of rosemary and lavender essential oils per 1 oz. (30 ml) of carrier oil, and add to a warm bath. Lie back, relax, and breathe in the soothing aromas. Further reading: Rosemary (Essential) Oil: Benefits and Uses for Hair, Skin and More (Science Based). Chamomile is a well-researched herb for its many medicinal and soothing properties. Chamomile essential oil is also one of the top oils for headaches and migraines. To help alleviate the pain and discomfort from a monster headache, put a few drops of chamomile in your diffuser and breathe in deeply. Using your diffuser with chamomile oil in your bedroom may also help you sleep better to get rid of your migraine quicker. Find out more reasons why chamomile essential oil is one of the best oils for good sleep and stress relief. The fragrant aromas of rose oil can help to soothe dull, gnawing migraine pain and help improve your quality of life. Add a few drops of rose oil and a few drops of lavender oil to your diffuser at work or home to help relieve a tension headache. You could also try inhaling rose essential oil directly from the bottle to help ease a migraine headache. Essential oils such as lavender oil, peppermint oil, rosemary oil, and chamomile oil all have proven scientific backing for their use in treating headaches and migraines. There are also some other essential oils that you can add to a headache essential oil blend. These oils can help to alleviate tension, relax muscles, and help provide topical pain relief. Mix 3 drops each of lavender oil, rosemary oil, basil oil, and rose oil with 1 oz. of sweet almond oil. Put in a dark brown bottle and shake well. Massage some of the essential oil blend into your temples every time you need relief from a gnawing or throbbing headache. There are many ways to use essential oils for helping to ease the pain, discomfort, and inconvenience of a pounding headache. Topical forehead or temple massage. Create your own essential oil mix using a combination of the best essential oils for headaches. As a general rule, use up to 3 or 4 drops of essential oils for every tablespoon of carrier oil. Gently massage the aromatherapy headache oil blend onto your forehead, temples, or back of your neck for quick headache relief. Diffuse essential oils for headache relief. Put some aromatherapy oils for migraines in your diffuser to soothe headache pain or help prevent migraine attacks. There are many more scientifically proven recipes for your diffuser that can boost your health. Inhalation aromatherapy. If you have an especially severe pressing headache, put a few drops of lavender essential oil in a bowl of hot water, cover your head, and breathe in deeply for 10-15 minutes. Inhale directly from the bottle. To get the instant effect of essential oils such as lavender or peppermint oils, inhale the soothing aromas directly from the bottle. Cold compress for migraine relief. Put a few drops of your favorite essential oils for headaches and carrier oil in some icy cold water. Mix well, dip a face cloth in the water, squeeze out the excess, and place on your forehead to help get migraine relief. Ease your headache by relaxing in a warm bath. Add a few drops of lavender, rose, and rosemary essential oils to warm bath water (10-12 drops of essential oils per 1 oz. (30 ml) of carrier oil). Soak for up to 20 minutes and breathe deeply to inhale the soothing essential oils.